SSShhhh! 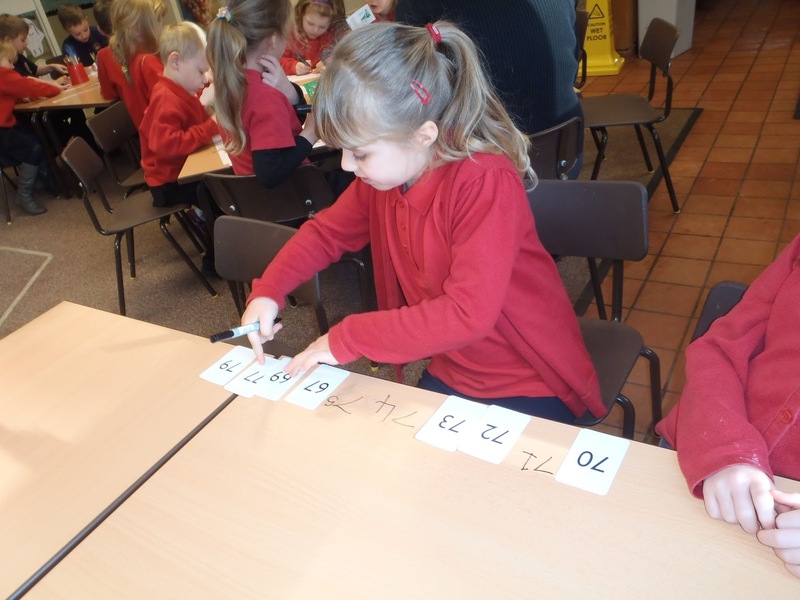 Don't tell Mr Burden... but to help us with our missing number tracks we've been writing on the tables. We did clean it all off though! 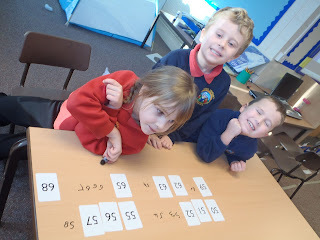 We took turns in filling in the missing numbers. I'm sorting out the numbers... some of them need moving.